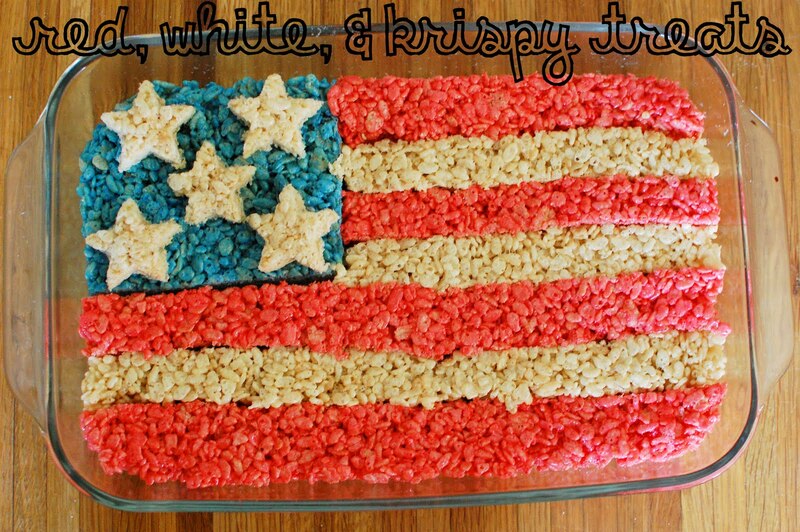 To make Red, White, and Krispy Treats you will need to make three separate HALF batches of Rice Krispy Treats. 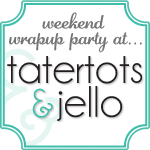 You also need a 9x13 pan, a 9x9 pan, a star shaped cookie cutter , and red & blue food coloring. ...and a little bit of red food coloring to the other. Use the star shaped cookie cutter to cut a few stars out of the leftover strip of plain Rice Krispy Treats, and then add them on top of the blue section of treats. Even though there are a lot of steps, this is actually really easy to assemble...the hardest part was washing my pot between each batch:) I'm sure adults and kids alike will be really excited to see this fun patriotic treat on the dessert table for the 4th of July! So cute and festive (and yummy too)!! I'm coming over! You know my love for Rice Crispy treats and this is so cute, but not too cute to eat ;) Enjoy! So cute! I have never made Rice Krispy Treats, but this one makes me want too!!! Totally festive and yum! We love rice crispy treats!!! wahhhh! you're my hero. awesome. i only can hope mine will look so perfect. great idea.. this is one of my kids' favorite snacks! Fabulous idea. The kids will love this! This is SO CUTE! I'm totally making this for the 4th. THANK YOU! Yep, I'm doing this RIGHT NOW! You never cease to amaze me, Kelli!! I love this idea and wish I'd seen it a few days ago. I'm sure that this was a hit at your house!